Infant mortality is the death of an infant in the first year of life. The infant mortality rate (IMR) is the estimated number of infant deaths per 1000 live births. The IMR is not only a key indicator of maternal and child health, it is also considered an important indicator of population health and development. Child mortality has been declining worldwide as result of socioeconomic development and implementation of child survival interventions and yet, four million children die worldwide every year before their first birthday. Mostly in less developed countries and due to preventable causes. 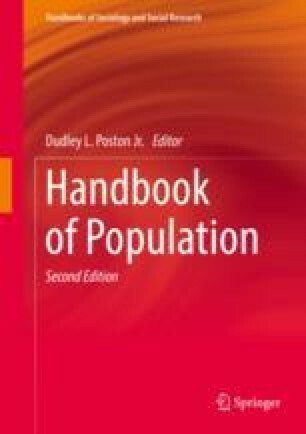 This chapter describes trends in infant mortality between 1990 and 2015 as well as differences across world regions. Hill K. (2013). Indirect estimation of child mortality. In Moultrie T.A., Dorrington, R.E., Hill, A.G., Hill, K. Timæus, I.M. and Zaba, B. (eds). Tools for Demographic Estimation. Paris: International Union for the Scientific Study of Population. http://demographicestimation.iussp.org/content/indirect-estimation-child-mortality . Accessed September 22 2018.